The green beans, collard greens & swiss chard are coming along slowly still. I promise we planted more than what you have been getting. I’m personally feeling impatient about the garden progress. I usually have loads of beans and squash (my favorites) by this time and I go out each day to weed and check on things and I’m all “Come on beans! Why are you taking so darn long?” and my kids just look at me silly for talking to the plants. We are kind of curious & excited about all the winter squash that have sprung fourth in various places around the homestead. We have squash and pumpkins specifically planted for the CSA but we are loving finding and watching all the volunteer plants around the property. It is like the farm lottery. Ha, ha! Offerings will be a similar variation on what you’ve already seen with the addition of a few zucchini. Zucchini lasagna anyone? Just sub zucchini slices for the noodles. We intended to head over to a fellow farmer friend’s place and stock up on some blackberries for you this week but had to change plans when a kiddo spiked her fever. Sick of cucumbers? They sure are prolific and happy in this weird summer weather we are having! 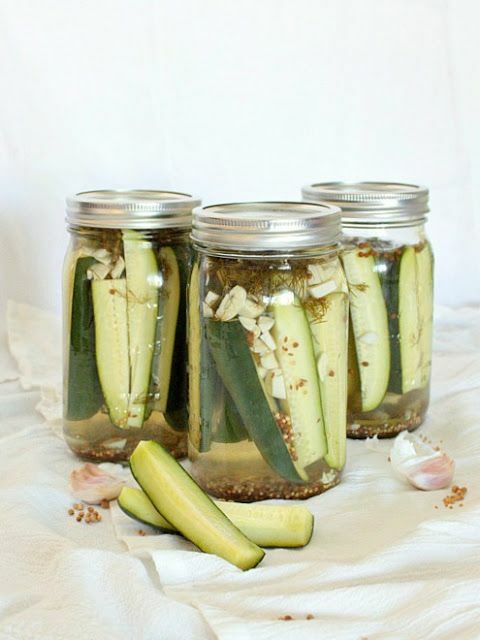 Have you ever made refrigerator pickles that you can enjoy in just 24 hrs? You should try them this week with your abundance of cucumbers! You can use a regular, non-pickling cucumber for this recipe since they aren’t canned or stored for very long. Makes 1 pint jar of pickles in 24 hrs. 2. combine your spices & vinegar and seal the jar, shake vigerously until the sugar and salt are dissolved. 3. remove the lid and tightly pack in your cucumers. Add water to the mixture to fill the jar. 4. replace lid and gently invert the jar a few times to mix brine and water. 5. leave the jar in the refridgerator for 24 hrs before enjoying. Pickles will last up to a month int he refrigerator but you’ll eat them all right away I bet.